John Holden found himself out of work. With an entrepreneurial spirit, John decided to purchase a little known brand name called Anox® and a formulation for something called “VCI paper” from a Canadian company located in Hamilton, Ontario. He needed a name for this newly formed company and looked no further than the initials of his wife and two children. The names of Shari, his wife, Kelly, his daughter, and Scott, his son soon came to form SKS Industries. Located in Webberville, Michigan at the time, SKS Industries soon came to be known for vapor corrosion inhibiting papers, packaging materials and silicone release papers. The early 1980’s were hard work for John and Shari Holden. With a young family to raise and a new business to grow, it became apparent to John that he needed to focus his business if he was going to survive. He decided to eliminate the other packaging products and focus solely on VCI papers. With some successful chemistry modifications, a focus on service, and a good partnership with a Canadian coating and converting company, John and Shari soon had SKS Industries positioned for business in the Michigan automotive market. In 1983, SKS Industries was granted prestigious approval on the Military Qualified Products List for MIL-PRF-3420. This approval, combined with the trust and reliance of most of the largest industrial corporations in the world, propelled SKS into the forefront of VCI packaging. Throughout the 1980’s, SKS began to expand into new states and markets successfully. Things were going well for the Holdens through the late 1980’s. SKS Industries was cruising along nicely until one day in early 1990 when John received a phone call from the plant in Canada. The company he contracted with was going out of business. These are the types of decisions in life that lead you in one distinct direction or another. John decided to take the leap and purchased the equipment from the now defunct coating company, moved it down the street with a Canadian partner, Keith Johnston, and started SKS Industries Canada. With direct coating and converting control, SKS Industries began to move to the leadership position in VCI Paper. Likewise, SKS added some other VCI products such as VCI film and VCI netting. In 1996, SKS hired the first outside sales rep that wasn’t named Holden to expand sales. In the late 1999 SKS earned ISO 9002 registration and was by then approved by the likes of GM, Ford, Chrysler and TRW. Now it was time to expand distribution. 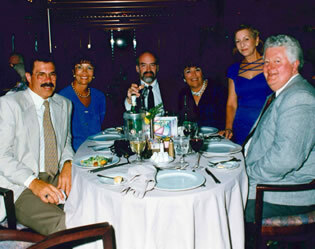 In 1999, John hired David Yancho to lead the sales efforts. Yancho’s background with 3M and FedEx package engineering, along with his distributor sales experience, fit nicely for what was needed at SKS Industries at the time. Yancho went to work on setting up a distribution network throughout the United States. 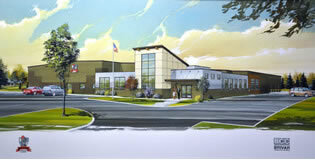 Within a couple of years, SKS began to expand to most of the industrial markets of the USA, Canada and Mexico. 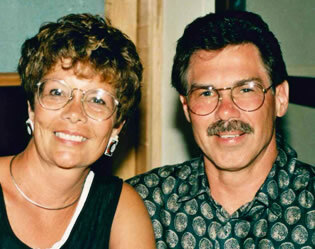 Unfortunately, cancer took the life of John’s wife and business partner, Shari Holden in 2002. 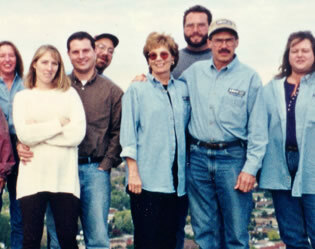 Throughout the time of Shari’s illness, John began to reduce his role within the company and eventually brought aboard Robin McConnell to serve as President and Technical Director in 2002. Robin brought a background rich with chemistry expertise as well as an MBA from Michigan State University. Soon Yancho and McConnell began to discuss with Holden the purchase of the business. SKS Industries paved further inroads with Mexico when it teamed up with its first international distributor Placosa of Cuernavaca, Mexico. Placosa specializes in automotive adhesives, sealants, corrosion inhibitors and coatings and hosts a customer base made up of GM, VW, Nissan, Ford and Chrysler. Placosa then established Parautos to exclusively distribute corrosion management products — SKS Industries, Placosa and its Parautos were the perfect complement. 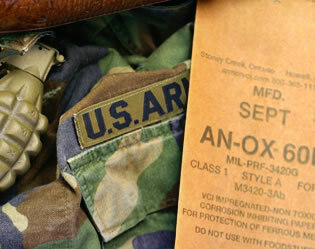 In the Fall of 2004, SKS Industries changed the name of the company to Armor Protective Packaging®. Not to break ties with our past, a past that reflects more than 33 years in the corrosion preventative business, but to reflect our future, a future as a company who is growing and evolving and working to meet the unique needs of a changing industrial market. 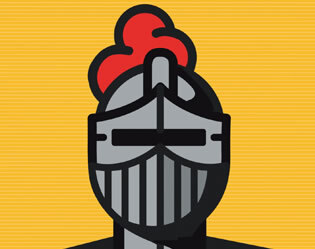 With global expansion on the horizon, Yancho felt that ARMOR would prove to be a better name internationally and the image of a knight as the logo would be more recognizable. 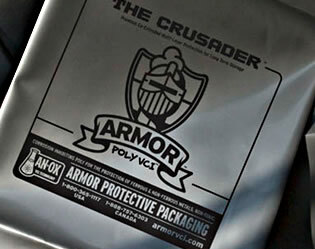 Much like a suit of armor is designed to protect the life of the knight inside, Armor Protective Packaging® is designed to protect the “shelf life” of your metal parts from the threat of corrosion. With McConnell’s chemistry expertise, ARMOR began to develop some of the top performing VCI films in the world. In 2005, ARMOR launched the revolutionary films Defender™ and Crusader™, the first co-extruded VCI films on the market. During this same time, John Holden began to express desire to step back from his day-to-day role in the running of ARMOR. He felt comfortable with the expertise and abilities of McConnell and Yancho whose work in the different disciplines needed to run a successful business were the perfect marriage. With all areas of the company covered from finance to science to sales and marketing, John began a succession plan that included selling a portion of the company to McConnell and Yancho. In 2006, ARMOR patented its Bright Idea Technology™, ARMOR’s use of fluorescent tracing agents in its ARMOR POLY® line. The Bright Idea Technology™ offered customers a quick and inexpensive quality control check to verify the VCI content of their VCI products. 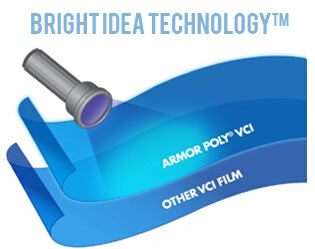 Bright Idea Technology™ readily identifies and provides visible proof that VCI is present in ARMOR POLY® film simply by shining a black light on it. In 2007 the global reach of ARMOR continued to grow with expansion to Europe and Asia with multiple businesses joining ARMOR as international partners and distributors. In 2007, Technology Packaging of the United Kingdom joined on as ARMOR’s first European partner. Technology Packaging owner Jerry Harwood was looking for a strong partner in vapor corrosion inhibitors and ARMOR was the ideal fit. Also joining forces with ARMOR was China’s Waiteksin, a national high-tech company since 2003 located in Beijing. Waiteksin represents the full line of ARMOR products and services and has a network of more than 20 distributors and subsidiaries who cover every major economic developing zone in China. Waiteksin customers include Cummins, FAW (China First Auto Works), Winhere, Magna, John Deere, China Nuclear Power. 2008 brought Italy’s Tecno PrimaF on board. Tecno PrimaF specializes in crating, protective packaging, and preservation materials for automotive and industrial companies. Additionally, Japan’s Nippe Trading, a division of global company Nippon Paint, became an ARMOR partner. This partnership offered a customer base of Japanese automakers including ties with Honda, Toyota and other Japanese manufacturers. From a press coverage stand point, ARMOR scored several major victories. 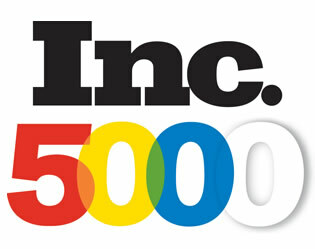 In 2008, ARMOR was named to Inc. Magazine’s Top 5000 Fastest Growing Private Companies in America. This honor was a reflection of ARMOR’s growth and expansion from a small manufacturer in 1979 to a company with a customer base spanning the globe. 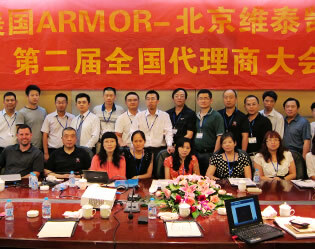 In 2009, ARMOR launched Workshop Hero™, a new consumer products division. 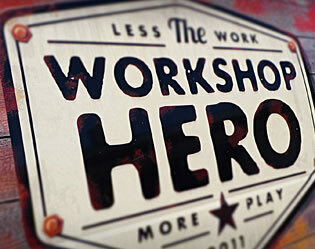 The Workshop Hero™ line offers cutting-edge products designed to take the “work” out of workshop. Currently, Workshop Hero™ offers Metal Rescue™ Rust Remover Bath and Dry Coat™ Rust Preventative, two products that have been wildly successful with industrial customers. Just as ARMOR products are clean, safe and easy, Workshop Hero™ products are also guaranteed to be clean, safe and easy to allow Workshop Hero™ customers to work less and play more. 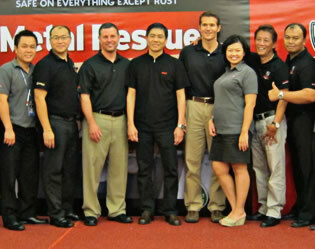 Workshop Hero™’s Metal Rescue™ gained momentum with the receipt of three Global Media Awards from the 2010 Specialty Equipment Market Association (SEMA) at its tradeshow in Las Vegas, Nevada. Metal Rescue™ Rust Remover Bath captured the coveted awards from a judging panel of 26 journalists from 16 countries where more than 2,000 new parts, tools, and components were registered in the new product showcase. Metal Rescue™ Rust Remover Bath was chosen because of its safety, ease of use and effectiveness against rust. 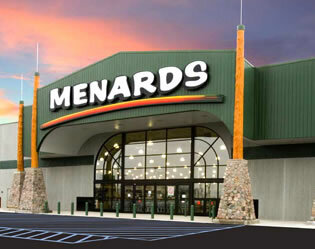 In 2011, Metal Rescue™ Rust Remover Bath and Dry Coat™ made their debut in the retail chain of Menards home improvement stores. This debut was significant in that it allowed for greater access and distribution of the Workshop Hero™ line of products. 2011 also brought the addition of celebrity spokesman Bryan Fuller of the television show Two Guys Garage to the Workshop Hero™ team. Fuller, known for his expertise in metal shaping and custom hot rod/motorcycle designs, was an ideal spokesperson to speak to the benefits of the rust removal and rust preventative products offered by Workshop Hero™. Metal Rescue™ received further recognition when it received a 2012 Automotive Aftermarket Products Expo (AAPEX) Product Showcase Award. More than 4,000 votes were cast for products in 13 different categories of the AAPEX Product Showcase and Metal Rescue™ was chosen for its safety, ease of use and effectiveness. 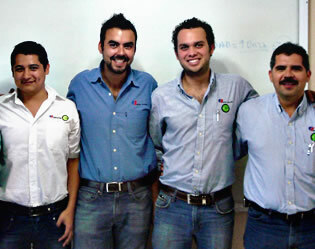 2011-12 brought expanded international reach with the addition of three new partners. In 2011, India’s Adduco Engineering Solutions Private Limited joined the ranks of the Armor Protective Packaging® international partners. Bearing the name of Armor Protective Packaging India, the company is a professionally managed organization with more than 150 accounts and has presence in all key industrial geographies in India. 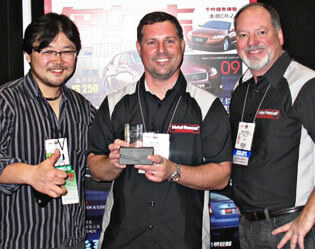 2012 marked the year that Wealthy Shine Co., Ltd., of Thailand became an ARMOR partner. Wealthy Shine is a manufacturer, distributor, and wholesaler of rust preventative and rust removal products as well as chemicals such as additives and solvents used to protect and remove corrosion. As of 2012, Internusa Indonesia became a new international partner of Armor Protective Packaging®, offering ARMOR’s full line of corrosion management products. Self-described as a “manufacturing trading company,” Internusa’s team work with more than 50 customers who in turn serve more than 500 companies in Indonesia. The company’s current customer base is comprised of electronics companies, automotive manufacturing, stamping companies, and heavy-duty parts manufacturers for industrial companies. 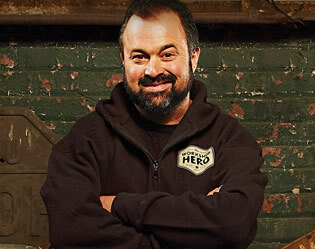 Celebrity Frank Fritz of HISTORY’s hit TV series American Pickers joined the Workshop Hero™ team in 2013. Fritz, who serves as a celebrity spokesman, is a picker by trade and no stranger to rust. His background in antique collection and restoration, combined with his notoriety from American Pickers, make him the perfect complement to the Workshop Hero™ product line for the consumer market. Armor Protective Packaging marked its 35 year anniversary in a big way with the purchase, construction and move to a new international headquarters. The new building, which houses both ARMOR’s industrial division and its consumer division Workshop Hero, hosts more than 45,000 square feet of office, production, inventory and distribution space. Special attention was devoted to creating design and décor that marry the past with the present as the building’s interior embraces a “repurposed” look and feel reflective of the company’s corrosion management product lines.